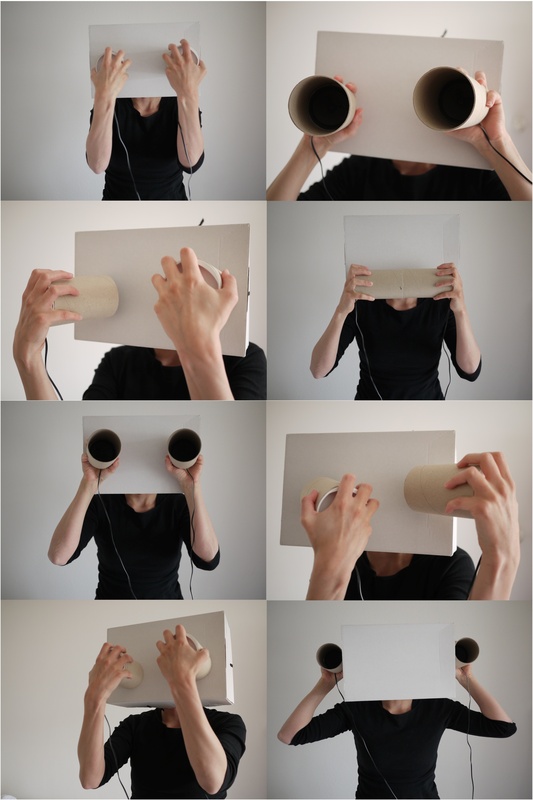 Square Head (2013) a performance for one performer, a box, two small loudspeakers and one audience member. 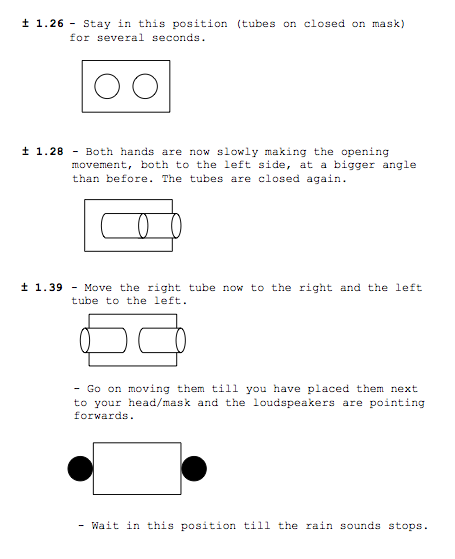 The different positions of the loudspeakers during the performance. Square Head makes use of what I would like to call a “personal sound spatialisation system”. Moving loudspeakers comparable to the ones in, for example, Hearing Sirens are used, with the difference that there is only one audience member and the loudspeakers are very small. The main parameter of interaction is therefore movement. The two small loudspeakers are put in cardboard tubes. 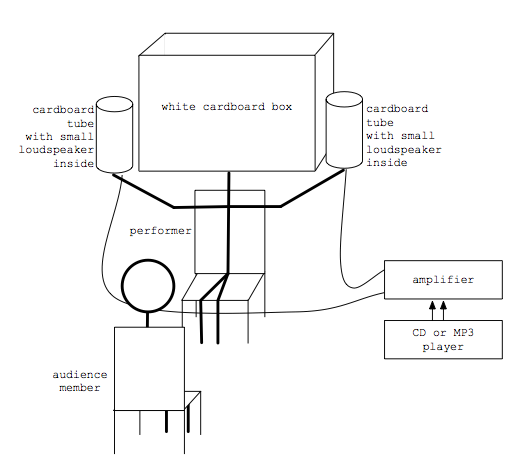 The head of the performer is hidden in a white cardboard box, not only for visual reasons, but as well for damping the loudspeakers, when they are placed on the box. The set-up and the different positions of the loudspeakers during the performance could be associated with elements of a face. Sometimes the loudspeakers are the ears; other times, the eyes or the mouth. Page of the score for Square Head.